As your Longmont family dentist, our team at Twin Peaks Dental & Orthodontics strives to protect our patients’ long-term oral health. While it’s easy to assume that your oral health only relates to the health of your teeth and gums, a growing amount of recent research suggests that our oral and overall health are linked in ways health professionals never previously suspected. Plaque, a sticky biofilm, clings to the surface of our teeth where it uses the foods we consume to produce harmful substances that slowly erode away the outer layer known as enamel. The more we allow plaque to build up on the surface, between, and along the gum line of our teeth, the more damage plaque can cause. When plaque is left unchecked, it significantly increases our risk for a variety of chronic oral health problems, including tooth decay, gum disease, and tooth loss. Based on recent research, we now know that individuals who suffer from these types of oral health problems have a significantly higher risk of developing a range of chronic diseases that can negatively impact their quality of life. Studies have shown individuals suffering from gum disease, for example, have a higher risk of developing cardiovascular disease, diabetes, dementia, arthritis, and cancer. While researchers don’t know for certain what links oral disease and our overall health, they do have some theories. The most prominent is that cracks that develop in our gum tissue due to gum disease allow harmful oral bacteria to enter our bloodstream, where it travels to other parts of the body, causing inflammation to develop. Inflammation is considered the root cause for most systemic health problems in the body. The spread of inflammation would provide some explanation as to why individuals with poor oral health have a greater risk of developing non-oral health related diseases. Fortunately, you can protect your long-term oral and overall health by following these three simple steps. Brushing helps to remove plaque from the surface of your teeth and along the gum line. By preventing plaque buildup, you successfully lower your risk of suffering the effects of tooth decay or of developing gum disease. This makes brushing your primary defense against plaque, and the best habit you can practice to improve your oral health. The American Dental Association recommends brushing at least twice day – ideally once in the morning and again before bed at night. It takes time to properly clean all of the crevices and grooves of our teeth, so it’s important to spend at least two minutes brushing. Unfortunately, surveys conducted by the ADA have found that the average amount of time most Americans spend brushing a day is only 30 seconds TOTAL. That’s only a quarter of the amount of time that’s really needed to adequately remove plaque from your teeth. If you think 30 seconds sounds like plenty of time, consider what the results would be like if you only spent 30 seconds shaving, applying makeup, or showering a day. Your oral health matters, and it matters that you take the right amount of time to brush. Flossing ranks as one of people’s least favorite habits. In fact, a recent survey found that people would rather stand in line at the DMV, do their taxes, sit in traffic, and even clean a toilet rather than floss. However, despite its unpopularity, flossing ranks as equally important to brushing when it comes to protecting your long-term oral health. Flossing helps to remove food particles and plaque from areas of your mouth a toothbrush cannot reach – between your teeth and under the gum line. If you fail to floss, you’re effectively deciding not to clean over 30 percent of your mouth. That’s a lot of area for plaque to buildup and cause decay. It’s not surprising then that the most common place for cavities to develop is actually between a patient’s teeth. Spending just one minute a day flossing will greatly improve your oral health by lowering your risk of gum disease and decay. 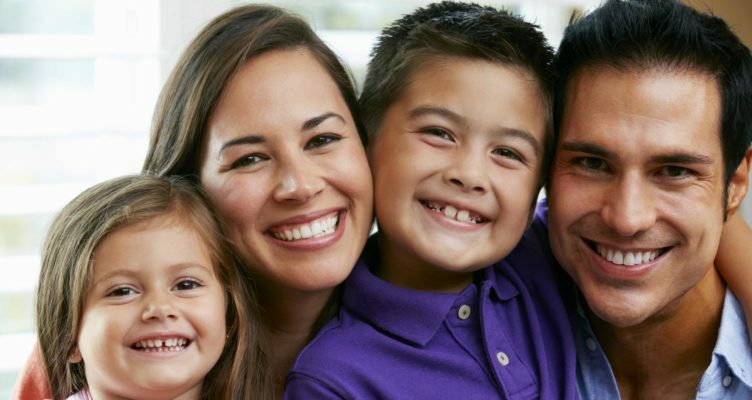 Scheduling regular exams and cleanings with your Longmont family dentist is the final step you need to take to improve your long-term oral health. Regular exams provide our dentists the opportunity to spot any signs of decay early on while still easily treatable and reversible. Regular cleanings allow our team of gentle dental hygienists the chance to remove plaque deposits from your teeth, thereby lowering your risk of dental disease. That’s it! Follow these simple steps and you’ll greatly improve your chances of enjoying a brilliantly bright and health smile for a lifetime.